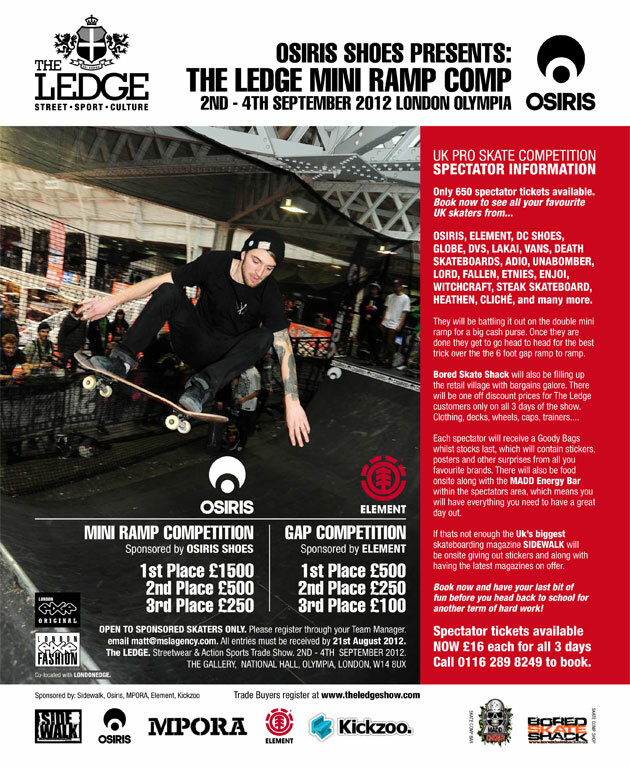 This weekend just gone saw The Ledge trade show in London featuring a plethora of brands in the skate industry and a bunch of riders present for a mini ramp jam. It went off. Get stuck into this footage from Sidewalk of Denis Lynn, Chris Oliver, Jak Tonge, Jake Collins, Rob Smith, Helena Long, Lois Pendlebury, Phil Zwijsen, Josh Young, Nicky Howells, Ross McGouran and more.